The program received the enthusiastic participation of members of the Executive Committee, Member of the Party Committee, secretaries, deputy secretaries and officials under the Ministry of Construction. On behalf of CONINCO, Ms. Nguyen Thu Ha - Member of Executive Committee of Youth Union of Ministry of Construction and members of CONINCO Youth Union participate in and support the program. 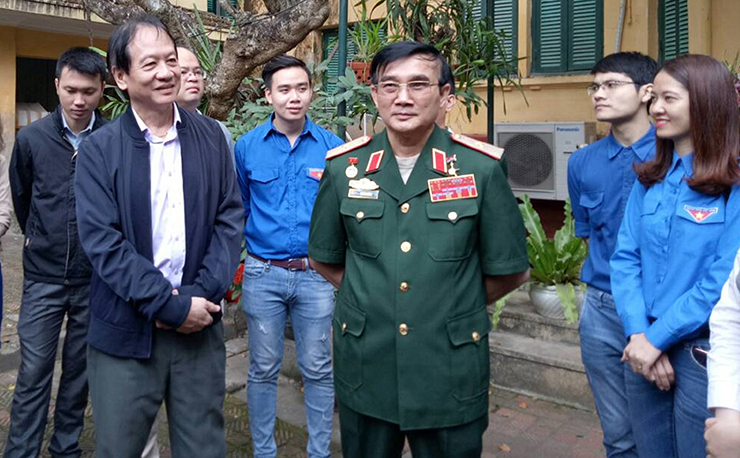 The delegation had the opportunity to meet and talk with Lieutenant General Le Ma Luong - Hero of the Vietnamese People's Liberation Army, Former Director of the Vietnam Military History Museum and Mr. Vo Hong Nam – the last son of the General Vo Nguyen Giap. At the altar of the General, the Youth Union respectfully tributed and gratituded the generous contributions of General Vo Nguyen Giap to the revolution of the Party, the people and the growth of Vietnamese People's Liberation Army. After burning incense to the General, the members of the Communist Party had listened to the memories of the struggle history for national liberation as well as the simple but very meaningful lessons in the peacetime life of the General. Through these sharing, the members and youths were more deeply aware of the feelings and love for the people, for the younger generation of General Vo Nguyen Giap - who is both father and brother of the People's Liberation Army. The youth delegation then visited the office of the General, listened to more stories about his revolutionary life as well as the way the General treated and welcomed the international political and military leaders, including France and the United States. Secretary Bui Chi Hieu on behalf of the Youth Union of the Ministry of Construction in particular and the Ministry of Construction in general gave many thanks for the sincere and meaningful shares, the open reception of Lieutenant General Le Ma Luong and Mr. Vo Hong Nam; the youth would always try to study and follow the bright moral example, the talent, the virtue of the previous generation; unite and overcome all difficulties, well accomplish all assigned tasks. 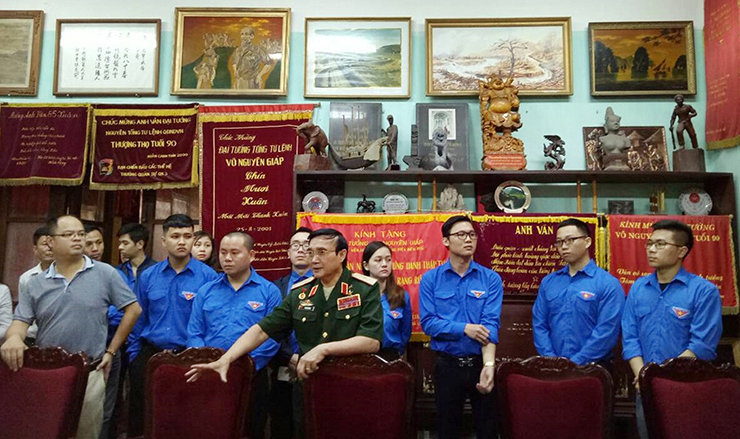 Such activity is one of the meaningful activities, helping young people better aware of the history of struggle for national liberation, frontier protection; at the same time, we understand more deeply the life of a world-famous military general, a great but very simple and brilliant General Vo Nguyen Giap.